This offer is no longer available on Money Crashers. The U.S. Bank Visa® Platinum Card is about as basic as credit cards get. Though it’s currently not included on our list of best low APR credit cards, it has all the makings of a contender in that category: an extended 0% APR introductory promotion, a low regular interest rate, and virtually no frills. The U.S. Bank Visa Platinum Card is great for paying down debt and carrying a monthly balance at reasonable cost. It’s not advertised as such, but its relatively loose underwriting requirements mean it’s useful for building credit – or, more likely, improving credit from a sturdy but unspectacular baseline. If you’re looking for a credit card that returns part of every dollar you spend via a generous rewards program, stop right here and check out our lists of the best cash back credit cards and best travel rewards credit cards. Otherwise, read on to learn more about the U.S. Bank Visa Platinum Card’s strengths, weaknesses, and overall suitability. The U.S. Bank Visa Platinum Card charges no interest on purchases or balance transfers for 18 months from your account opening date. Qualifying purchases can be made at any time during the 18-month window. Qualifying balance transfers must be made within the first 60 days. Once the introductory period ends, the regular purchase and balance transfer APR rises to range between 14.74% and 25.74%, depending on your personal creditworthiness and prevailing interest rates. U.S. Bank offers a cell phone protection plan that protects against damage and theft, subject to certain limitations and restrictions. The plan does not apply to damage due to lost phones, nor phones disabled or destroyed due to electronic failures. You can cover the primary cardholder’s phone (primary line) and up to three auxiliary lines listed on your provider’s monthly statement. The maximum payout is $600 per claim and $1,200 per year, less a $25 deductible per occurrence and a hard cap at the replacement value of the phone. This card comes with a free TransUnion credit score (VantageScore) each month and an accompanying suite of credit analysis and reporting tools, including a score simulator that helps you predict various financial events’ impacts on your credit score. Everything is accessible in your online account dashboard. U.S. Bank Visa Platinum gives you the flexibility to choose your own payment due date. It’s not a given that you’ll be able to choose the precise date you prefer. Check your cardholder agreement for more information. If you have a U.S. Bank deposit account, you can opt into U.S. Bank’s overdraft protection program. Once you’re enrolled, transactions that would normally result in overdrafts are instead executed as intended. U.S. Bank draws on your Visa Platinum card’s cash advance credit line to cover the shortfall. There’s no credit card fee associated with this service, but most U.S. Bank deposit accounts do charge daily fees – most often $12.50 per day. While overdraft protection is useful (and essential in situations where you absolutely have to complete a transaction), it can become a burden. Overdraft protection transfers immediately begin accruing interest at the regular cash advance rate, so it’s in your best financial interest to pay them off as soon as practically possible. Also, keep in mind that your cash advance credit line is likely to be lower than your card’s spending limit. There is no annual fee. Foreign transactions cost 2% to 3% of the total transaction amount, depending on denomination. Balance transfers cost the greater of 3% or $5. 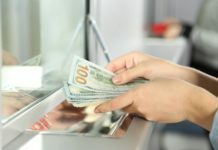 Cash advances cost at least the greater of 3% or $5, but ATM cash advances and certain other types of cash advances cost more. No Annual Fee. The U.S. Bank Visa® Platinum Card has no annual fee. That’s welcome news for frugal cardholders who simply want to pay down existing credit card debts without resorting to payday loans or finance large purchases without paying interest or excessive, recurring fees. Long 0% APR Introductory Promotion for Purchases and Balance Transfers. This card’s 0% APR introductory promotion lasts 18 months for purchases and balance transfers. That’s as long as some of the top balance transfer credit cards on the market, including perennial favorite Chase Slate. If you’re struggling with high-interest credit card debt or planning a large purchase that you can’t pay off in a single month, this card is worth a closer look. Useful Cell Phone Protection Plan. This card’s cell phone protection plan comes in handy in all-too-common situations that you’ve likely (and unfortunately) experienced firsthand. You can claim a loss of up to $600 per occurrence, enough to cover the replacement cost of all but the spiffiest new phones. Free Credit Score and Reporting Tools. Curious about the state of your financial health? Wonder no more. Visa Platinum cardholders enjoy free monthly access to their VantageScore credit scores, plus useful simulation tools that provide insight into current and future credit score trends. Flexible Payment Due Date. With the U.S. Bank Visa® Platinum Card, you have the freedom and flexibility to choose your own payment due date. If you’re a freelancer or small business owner with irregular income, this simple perk can mean the difference between smooth financial sailing and a dire cash crunch. You can also enroll in autopay to ensure you don’t accidentally miss a payment. No Penalty APR. This card doesn’t charge penalty interest. If you regularly carry a balance and occasionally miss your due date because of cash flow issues or unexpected expenses, this can significantly reduce your out-month interest costs. No Rewards. The U.S. Bank Visa® Platinum Card has no rewards program. If you’re looking for a credit card that pays you back for every purchase you make, check out popular no-annual-fee cash back cards, such as Chase Freedom or Citi Double Cash Card. No Sign-Up Bonus. Most rewards-less credit cards lack sign-up bonuses, and Visa Platinum is no exception. Plenty of cards incentivize early spending with generous sign-up bonuses – in the no-annual-fee cash back department, Chase Freedom Unlimited is my personal favorite. Balance Transfer Fee Applies From Day One. This card’s balance transfer fee applies from the day you open your account. Though that’s the case for most credit cards, the best balance transfer cards waive fees for a limited time after account opening. For instance, Chase Slate doesn’t charge balance transfer fees for 60 days – more than enough time to complete your first transfer. 2% to 3% Foreign Transaction Fee. The U.S. Bank Visa® Platinum Card’s foreign transaction fee is 2% for U.S. dollar-denominated transactions and 3% for transactions denominated in foreign currency. If you regularly travel outside the United States, look for an annual-fee-free alternative with no foreign transaction fees, such as Capital One Quicksilver Cash Rewards. The U.S. Bank Visa® Platinum Card gives new meaning to the term “bare-bones.” This card has two interrelated use cases: financing large purchases and getting existing credit card debts under control. If you approach either case with discipline and resolve, you can dramatically increase your spending power or create some much-needed breathing room in your personal budget. If you’re not planning a major purchase and are lucky enough not to be saddled with existing credit card debt, the U.S. Bank Visa® Platinum Card likely isn’t your card. 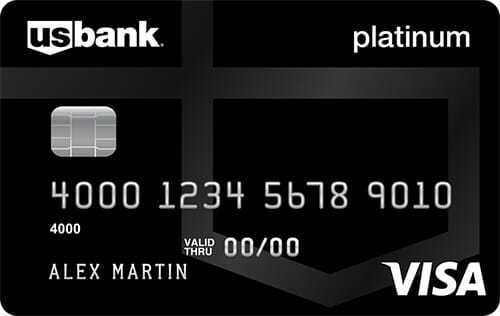 The U.S. Bank Visa® Platinum Card is designed for consumers who wish to finance large purchases at 0% APR interest or transfer balances from other credit cards. 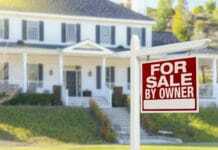 Loose underwriting requirements broaden its appeal for folks who fall into these two buckets. However, it’s not the best fit for anyone else, including those seeking return on spending via cash back or travel rewards. Key benefits include no annual fee, a long 0% APR introductory promotion for purchases and balance transfers, a potentially generous cell phone protection plan, the ability to choose your payment due date, a free monthly credit score and predictive tools, and no penalty APR. Drawbacks include no rewards, no sign-up bonus, no introductory break on balance transfer fees, and 2% to 3% foreign transaction fees. Overall, U.S. Bank Visa Platinum is great for people seeking a long runway to pay down purchase or balance transfer debts. For everyone else, better options exist.